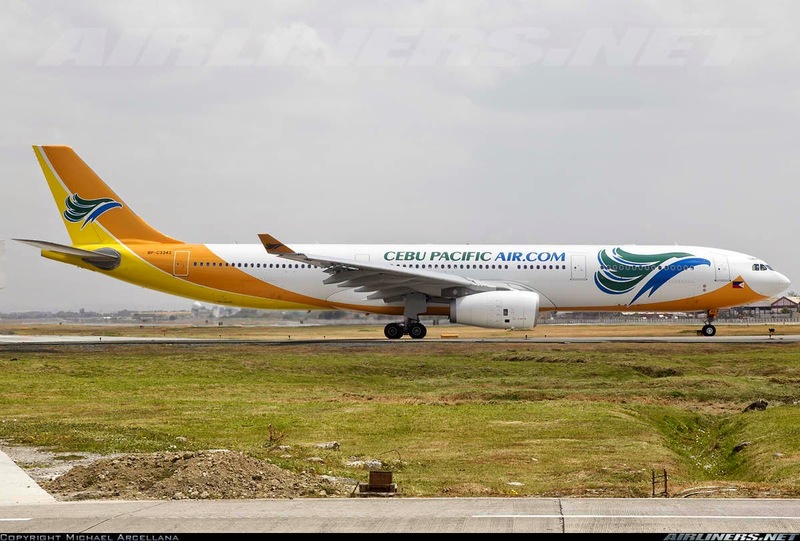 Aviation Updates Philippines - Cebu Pacific is considering the acquisition of more planes as they are expanding their long-haul operations. The airline will be launching flights to Kuwait by September 2 and Sydney by September 9 using the Airbus A330-300. In the stockholders meeting on Thursday, Cebu Pacific Air President Lance Y. Gokongwei told the media that the company is in constant contact with all aircraft manufacturers (such as Airbus, Boeing and Bombardier) for the purchase of new aircraft. According to Lance Gokongwei, his airline will be conducting a feasibility study to review the firm’s 50-strong fleet. "We're constantly evaluating our fleet plan. At this time, we're still on our feasibility study. We're getting basic data from manufacturers and are evaluating the business case." he said. Meanwhile, Cebu Pacific is now ready to accept its fifth Airbus A330-300 to be delivered in August. This is to increase the passenger capacity and further improve passenger service. The four Airbus A330-300s are currently being used in Singapore, Taipei, Davao, Cebu, Tokyo Narita and Seoul. "I think the market is going towards larger planes, because the slots are limited. We are still studying if we could shift from using Airbus A320s to A321. We have to make maximum use of limited slots," Gokongwei said. Airbus A320 can accommodate 180 passengers while Airbus A321neo can accommodate 220 passengers. The runway at the Ninoy Aquino International Airport can accommodate over 40 take-offs and landings, according the Department of Transportation and Communications. Aircraft movements at NAIA went up to 255,000 in 2011 compared with 171,000 in 2006. Data from the Department of Tourism shows that the airline's fleets doubled to 119 aircraft in May 2013 from 62 back in 2008. Last year, the 119 planes serviced over 30 million passengers, increased by 16 percent compared in 2006. As of May 2014, Cebu Pacific's fleet number increased to 50 aircraft from 43 aircraft last year. Cebu Pacific's plan is to acquire long-haul jetliners to be used in Europe and the United States. The airline is also eyeing to increase flights to Hong Kong, Indonesia, Australia and Taiwan. "We've actually asked CAB as well to prioritize those countries, Hong Kong as well as Australia. We feel that there's really a lot of potential for the tourism growth from those countries, especially Hong Kong and Australia," Gokongwei said. "We would like to see some substantial increase in the Hong Kong entitlements. There hasn't been a capacity increase in like six years, Manila and Hong Kong. So we would like to see a substantial increase." Cebu Pacific General Manager of Long Haul Division Alex B. Reyes said in a separate interview. Meanwhile, Cebu Pacific booked a net income of ₱164.164 million, an 85.8% drop from ₱1.157 billion in the first quarter of 2013. However, passenger revenues increased by 8.3% to ₱8.85 billion from ₱8.17 billion in the same time last year. Cebu Pacific's 52-strong fleet is comprised of ten Airbus A319, thirty Airbus A320, four Airbus A330 and eight ATR-72 500 aircraft. Between 2014 and 2021, Cebu Pacific will take delivery of eleven more brand-new Airbus A320, thirty Airbus A321neo, and two Airbus A330 aircraft.